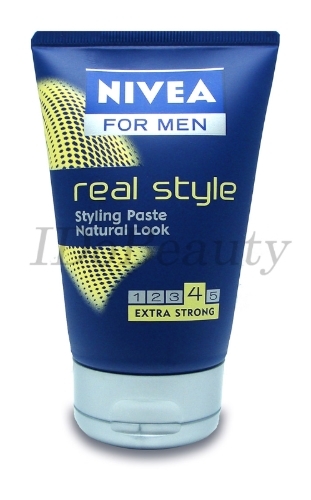 Real Style Paste ensures extra strong hold for your hair all day long. It is the perfect solution for men who like to show style, not styling. The innovative paste has a slightly mattifying texture for a natural look. The Paste is not sticky and does not harden in the hair. Start with dry hair. Spread a small amount of the product onto the finger tips. Create maximum movement by separating hair strands by moving your hands through the hair from the tip to the root, and finally shake hair into shape.